Angus Ritchie versus Angus Menuge. They both have awesome accents, and they’re both brilliant Christian philosophers. But they take interestingly different positions on the question of moral knowledge for naturalists. Let me briefly explain why, then lay out a third possibility that relies a little on both. Any way you slice it, naturalism loses. Angus Ritchie is the author of From Morality to Metaphysics. In that book, he affirms that moral knowledge is possible, even for naturalists. Knowledge, he assumes, requires justification, good reasons to consider the propositions in question to be true. Justification for moral claims comes, he thinks (roughly following David Enoch), from their “deliberative indispensability.” We can’t help but assume certain moral assumptions as reliable in the inevitable process of our moral deliberations. Ritchie resonates with the approach of those employing a method of reflective equilibrium by which we take our moral starting points not as infallible, but as innocent until proven guilty. So Ritchie doesn’t infer that on naturalism there is a lack of justification for moral convictions; to the contrary, he affirms that moral beliefs, on naturalism, at least on occasion, are adequately justified. Perhaps he would even think, then, that on naturalism there is moral knowledge. If we construe of knowledge claims as justified true beliefs, it would seem likely that Ritchie would affirm moral knowledge on naturalism. Angus Menuge, in contrast, after identifying prima facie reasons to be skeptical of naturalism explaining objective moral truth, distinguishes between two sorts of evolutionary ethics (EE). Strong EE dictates that moral ontology itself would be different had evolution played out differently. If, for example, we had been raised to kill our brothers and sisters or children, then such behaviors would have been morally right. Weak EE, in contrast, says it’s only moral psychology (our moral beliefs) that would be different if we had been raised like hive bees. Let’s set aside Strong EE as it holds no realistic hope of sustaining objective moral facts. Let’s direct our attention to Weak EE instead. Menuge suggests that Weak EE faces an intractable epistemic challenge. It gives us no grounds to think our moral beliefs are true. For they would be formed for reasons potentially quite unrelated to their truth. To make his point, he uses an example of looking at what turns out to be a broken clock, unknown to you. It reads 7 p.m., and suppose that it’s indeed, by sheer coincidence, 7 p.m. No knowledge results, though, since your reason for thinking it’s 7 o’clock has nothing to do with its actually being 7 o’clock. Whereas Ritchie seems to affirm the consistency of naturalism and moral knowledge, Menuge denies it. Both think that naturalism faces intractable challenges to account for moral knowledge. Whereas Menuge thinks naturalism is simply inconsistent with moral knowledge (at least in the case cited), Ritchie thinks naturalism is consistent with it, but deficient in explaining how such knowledge is possible. On the assumption that Menuge, like J. P. Moreland and Scott Smith, is denying that naturalism is consistent with objective moral knowledge claims by taking naturalism to be a rebutting defeater of moral knowledge, perhaps the reason for his doing so is that he is skeptical that naturalism is consistent with moral justification. When he writes that “Weak EE gives us no grounds to think our moral beliefs are true,” it sounds as if he’s denying that moral justification is consistent with Weak EE. He acknowledges the possibility of moral truth claims, but thinks that on naturalism we would believe in them only accidentally—like the person who forms a true belief on the basis of seeing a faulty clock. If Menuge’s suggestion is that, in either case, it’s the requirement of justification that goes unsatisfied, then Menuge and Ritchie part company. Ritchie would be affirming the possibility of moral justification and knowledge on naturalism, whereas Menuge would be denying both, despite that they agree that naturalism is in trouble here. And there is yet a third way naturalism makes mischief, which we can see by splitting the difference. Suppose that Ritchie is right that naturalism is consistent with moral justification, but that Menuge is right that moral knowledge is precluded by naturalism. This confluence of conditions would yield yet another possibility: something like a Gettier Moral Counterexample. 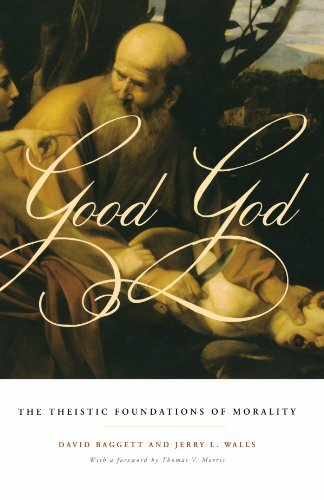 For on naturalism we could have a justified true moral belief, but not moral knowledge. Think again of the clock case, which, incidentally, is much like Bertrand Russell’s prescient Gettier-like counterexample predating Gettier. Suppose the clock in question is a clock that, in your experience, has always been reliable in the past. You look up and see the time, form the belief that’s the right time, and suppose indeed it is. But unknown to you, the clock is broken. So you arguably have a justified true belief, but presumably not knowledge. 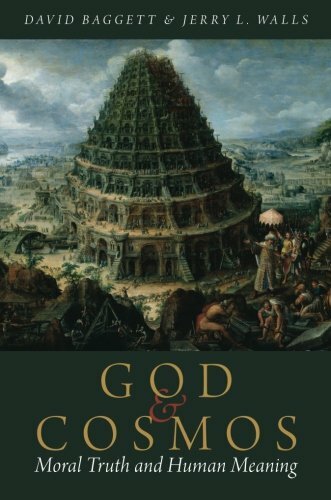 Might there be something analogous for naturalism and moral knowledge? Justified true moral belief without knowledge? Perhaps. Why think moral knowledge would be precluded, despite the justified true belief? For this reason: just as in the clock case, the reasons for the beliefs being true would be a coincidence. Even if this isn’t enough to preclude at least some form or measure of justification—a matter on which perhaps there’s legitimate room for rational disagreement—it is clearly enough to preclude knowledge. So even if we assume this is a naturalistic world in which objective moral truths obtain (a big assumption, but not my current target), and even if justified true moral beliefs obtain on naturalism, moral knowledge could well still be beyond our reach. What we have seen here, then, are three different ways naturalism seems to face a challenge from the direction of moral knowledge. Naturalism (a) is consistent with moral knowledge but can’t explain it with its resources (if Ritchie is right); or (b) is inconsistent with moral justification and thus moral knowledge (if Menuge is right); or, even if it’s consistent with both moral realism and justified true belief, is nonetheless (c) inconsistent with moral knowledge because of a Gettier-like moral counterexample. What naturalism seems confronted with is the charge of either failing to be consistent with moral knowledge or, even if it’s consistent with moral knowledge, explaining moral knowledge with the resources at its disposal. The Battle of the Angi over moral knowledge inevitably results in another loss for naturalism. Photo: "chess game" by L. West. CC License.